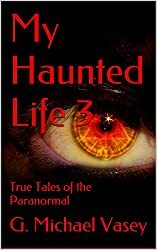 In the third and final installment of My Haunted Life, you will discover what it is like to camp on a Civil War battlefield in Yorkshire, be chilled by the creepy antics of a ghostly lodger, wonder about whether people can come back after death to PROVE that they still exist, about the ghost whose boots were made for walking and more chilling, thought-provoking and true stories of the paranormal. This is the book you wanted to buy for Halloween but couldn’t find! Have you ever felt as if you were being watched? Have you ever experienced something you simply could not explain? 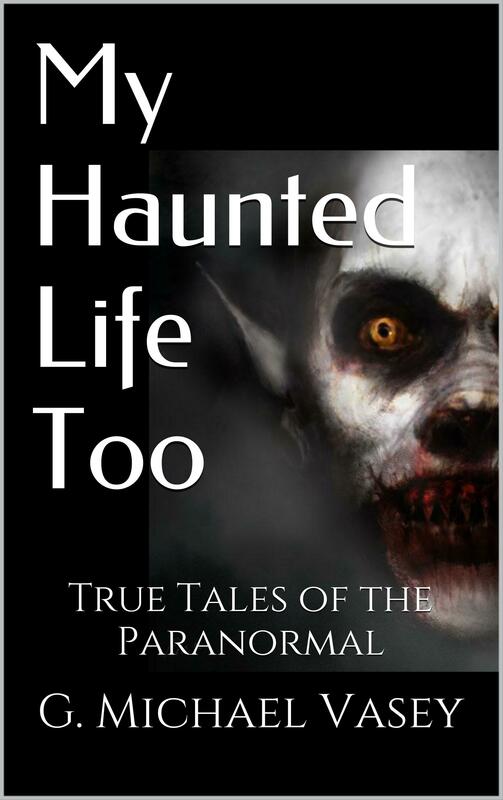 Have you ever been terrorized by an entity? Have you ever lived in a haunted house? I and those around me have. An Amazon Kindle Best Seller! #1 smash hit in supernatural on Amazon.co.uk. My childhood was a strange one. One of my first memories is of a little, blue man who emerged out of a mirror in my bedroom, shot me with a toy gun and then jumped out of the window into the backyard below. You might perhaps think that I imagined it, except for the fact that my parents actually heard the gunshot! This book is a collection of events that happened to me. All are strange and all are true. When people say that “fact is stranger than fiction”– they weren’t joking. 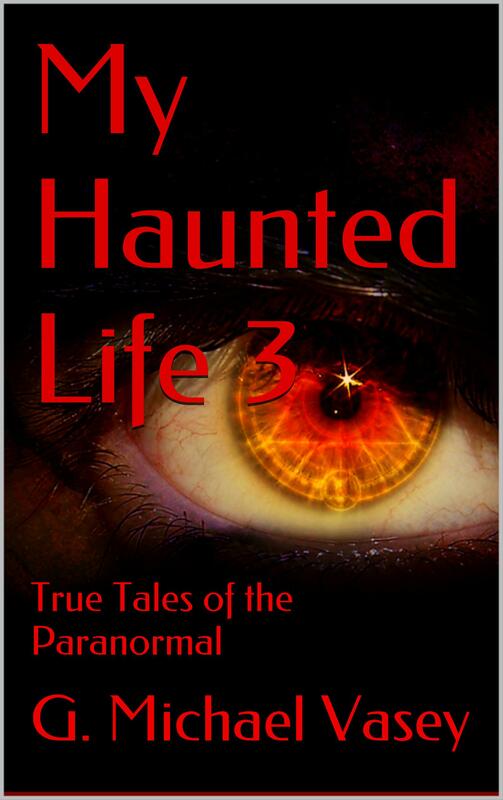 Available in paperback and Kindle formats from the Amazon sites. An Amazon Kindle Best Seller! The Last Observer is a compelling fictional tale of magic, alternative realities, murder and conflict. An ordinary man is abruptly dragged into the middle of a violent struggle between black and white magicians who both seek to use his extraordinary powers of imagination and observation. He soon learns that reality is not at all what it seems before being called upon to play a decisive role in determining whose reality will prevail. I am fascinated by what makes up reality. Faith can move Mountains it is said. In fact, faith in an ability to imagine into reality a mountain moving is what magick really is. So what might happen if a black magic cult wanted to change the world and they decided to do it via imagination and magic? Read the book and find out. A fifth collection of poetry and rhyme by G. Michael Vasey musing about the magic of life. 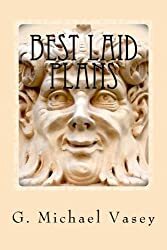 From the mystery of The Story through to magic of the Hexagram and the number 6, Vasey twists words and phrases to paint deliciously vivid images of how he sees life and everything. A new collection of 30 poems about life, reality and everything. 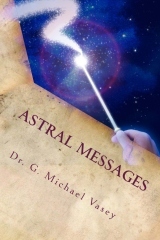 Astral Messages is my third book of poetry. It uses poems and blog articles from – Asteroth’s Domain – in a poetic discussion about reality and magic. From the opening ethereal beauty of “Astral Messages” to the humor of the questioning about “Why is life so dirty”, this is a collection of 17 new poems. Each is coupled with a short article to strengthen and bolster the points being made. At the end of the day, we are all magicians willfully creating our realities and Astral Messages demonstrates how this touches all aspects of our lives – yes, even our socks! Energy trading, transaction and risk management (ETRM) software is that category of software applications, architectures and tools that support the business processes associated with trading energy and broader commodities. In the broadest sense, energy trading means both the buying and selling of energy commodities such as crude oil, coal, natural gas, electric power, emissions and refined products, the management of the movement and delivery of the energy commodities, and associated risk management activities. Recently, with the emergence of energy and commodities as an asset class for financial traders such as hedge funds and banks, the boundary between ETRM and CTRM (Commodity Trading & Risk Management) has become increasingly blurred. UtiliPoint research indicates that few, if any trading firms, now trade a single commodity and even what constitutes ‘energy’ is less distinct than it once was. These days, commodities such as freight rates, ethanol and emissions might be traded by energy trading firms in addition to crude oil, natural gas and so forth; and ETRM software is increasingly likely to cater to commodity trading generally and not just energy commodities. In this new edition of the UtiliPoint Expert Series, UtiliPoint’s CommodityPoint experts, drawing on the company’s industry leading library of research, review the latest developments in the energy and commodity trading space and provide the reader an in-depth look at the impacts these changes have had on the vendors of mission critical trading and risk management systems, and on the users whose companies operate in this volatile marketplace. Energy trading, transaction and risk management (ETRM) software solutions are the highly specialized systems used by companies engaged in the production, buying, selling, moving and managing of energy commodities. With more than 70 firms offering ETRM solutions, from established companies servicing the entirety of the energy value chain, to smaller and sometimes upstart companies offering focused solutions for specialized links in that chain, selecting the right product and bringing that solutions on board can be a daunting task. 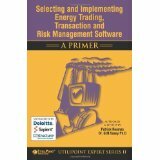 This book, the second installment of the UtiliPoint Expert Series, follows Trends in Energy Trading, Transaction and Risk Management Software – A Primer and provides valuable insights into the process of selecting, implementing and maintaining these critical systems. It is intended to create a more complete understanding of those critical activities that will be the ultimate determinate of success for any company seeking to improve their ability to compete in a complex and dynamic energy commodities market. In addition to providing information about the specific activities involved in ETRM system selection, implementation, and maintenance, this book also provides in-depth discussions of critical tasks and decision points within those activities, including the importance of testing and the management of historical transactional information. Other topics will assist clients to better understand the business models of their ETRM solutions providers, as the strategies and decisions made by those vendors can have significant implications for the users of their systems. As the world’s energy markets continue to grow, there is a growing need for professional literature on the subject. Sustained higher energy prices are now driving investment interest at an unprecedented level into the energy sector and that is spilling over into the clean technology and environmental financial markets. 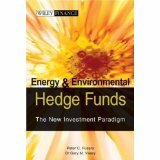 Energy and Environmental Hedge Funds: The New Investment Paradigm is the first book to cover the universe of energy hedge funds by strategy and to discuss the significant opportunities that they are responding to, not just in energy and energy-related commodities, but across the energy industry in general including equities, debt, assets, alternative energy, carbon and emissions trading, ‘green’ plays, and arbitrage. These expert authors cover important aspects such as the maturity of energy markets and how they are expected to develop in financial sophistication and size over the next 3 to 5 years, and the emergence of investible indices and ETF’s. They look at what is really driving energy prices and volatilities and also focus on the next market opportunities for investors in green hedge funds and weather derivatives. In this one book, the entire energy and environmental value chain is uncovered for investment opportunities. Growing up, I was scared. Things moved, doors opened, noises, voices… As I got busy with job, family and life, these things faded but fear was a real part of my life and it stopped me doing so many things that I should have done. My interest in the esoteric and occult never diminished and by mid life I was ready to give it some serious study. I signed up with a UK-based school and spent 6-years doing daily meditations and coursework. It changed my life. It changed the way I see the world. It vanquished my fear. This is my story. 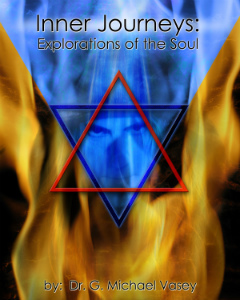 Inner Journeys: Explorations of the Soul is the compelling account of one man’s inner quest. 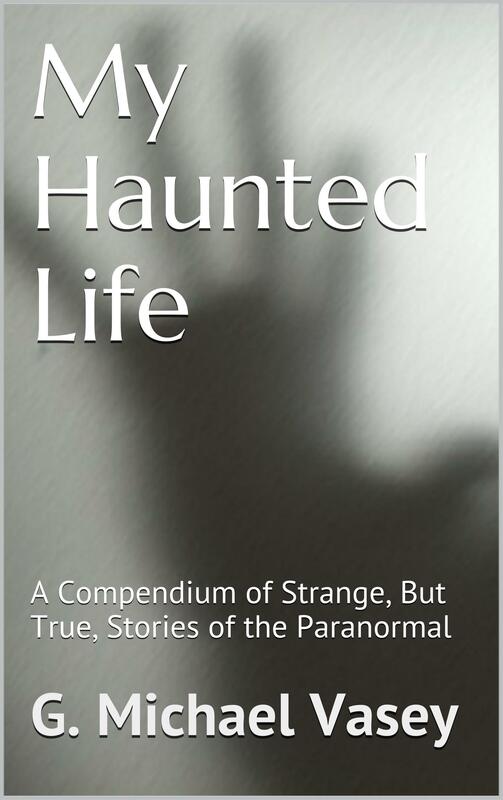 It is a unique and fascinating case study that documents the author’s unusual experiences in his early life that culminates in his eventual discovery of a mystery school. Dr.Vasey provides an honest assessment of his ongoing development as a student of the school, his discovery of an inner contact, and progressive exposure to a magical and boundless world of inner characters and landscapes that provide personal instruction and understanding. His journey of transformation has a profound effect on his character and finally directs him towards an initiation with the self. The Lord of the Elements The prequel to The Last Observer where we learn more about Edward and his nemesis the evil magician Zeltan…. The Fool’s Journey What is God was a Fool? How would it all pan out? A walk through The Tree of Life as the Fool. 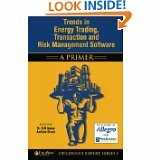 Commodity Trading and Risk Management Software: A Primer (with Patrick Reames) – the long awaited update will be completed in 2014. All my books can be purchased at Strange Book Reviews. Who knows – maybe there will be others too…….